Pinzimonio: what is it? how to taste just pressed extra virgin olive oil at its best! Many foreign people that I met during the years have never heard about it! 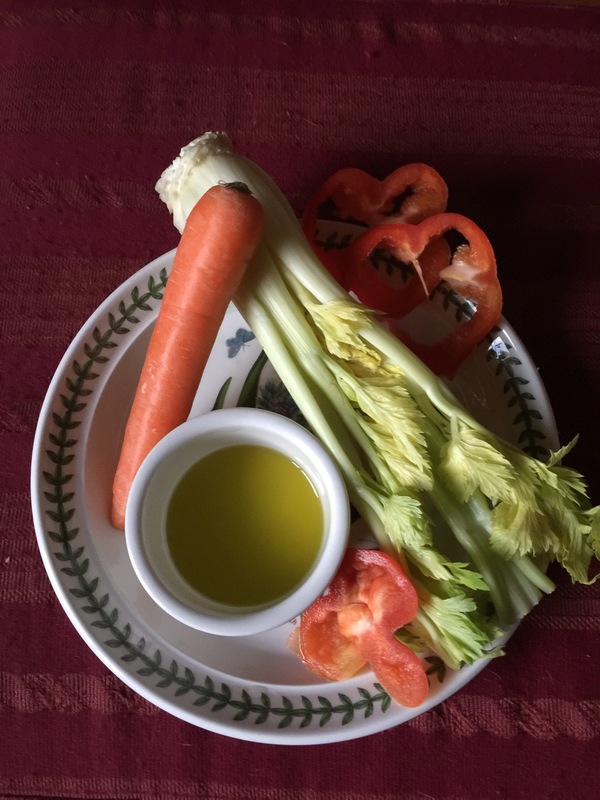 It’s just an easy & healthy way of eating raw vegetables dipping them in extra virgin olive oil 😋😋😋 from our Tuscan hills ( this was another present from Valeria ❤️💋thank you soo much! pressed yesterday evening & straight away brought on my table just for me❤️❤️👏👏). Every kind of vegetable are suitable for the so called ” pinzimonio” adding some salt ,some black pepper & sometimes a drop of balsamic vinagre or lemon juice. This can be used as a starter or to br paired with meat or fish both in summer or autumn as now. 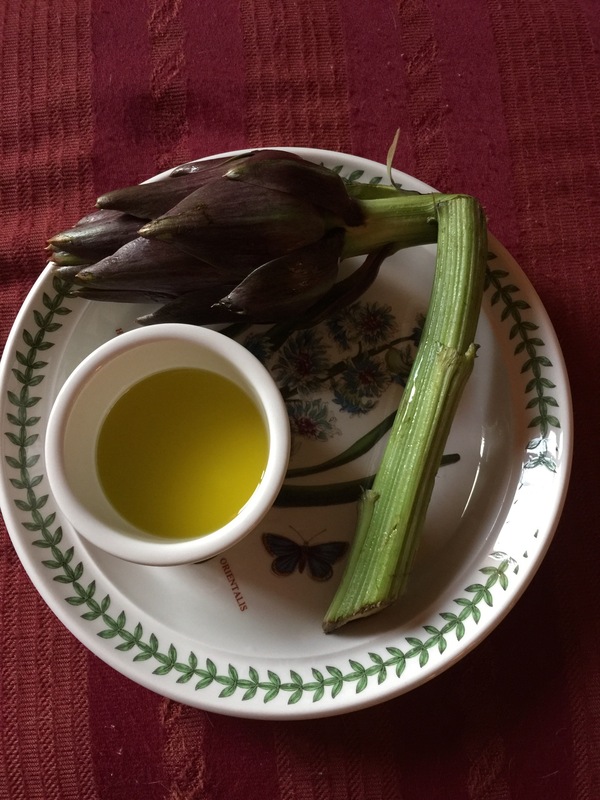 Especially artichokes are so delicious in this period of the year , not cooked!! ever tried?? Su Gologone : a fantastic experience hotel with a unique charming atmosphere & a real Sardinian style!